Hey. 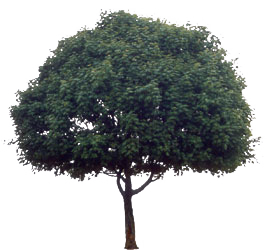 I don’t know if I’ve been looking hard enough for this or not, but how can you make a good looking, but low poly tree? I know it has to do something with alpha channels in the leaves to cover the outside, but how can I map it? You have to use a program that can create an alpha channel, like Gimp or Photoshop. Not my point. how do you create the 3d model and unwrap it onto it? The “3d” model is a plane with a track to constraint pointing it at the camera. Just unwrap it and paste the tree image onto the plane in the UV image editor. Make sure you have alpha turned on in your texture. Sometimes, it’s two or three planes, intersecting at the tree trunk, without the track to constraint, so the tree doesn’t appear to turn as the camera moves. I use Zbrush’s Zspheres to do my tree trunks, but you can just box model them if you want to.sometiems I use planes for the tops other times I use parts of spheres. I suggest getting a photo of the type of tree you need, and go from there. I dont suggest doing the old billboard trick unless you want your game to look like Duke Nukem 3d, or one of the first DOOM games. Not true. Actually there is a lot of ways of doing this “billboard trick”. “Blatlefield I” uses this tecnic and it is newer in comparison to DkN and Doom (old series). For example: you can have some static volumetric clusters for leaves and another ones with billboard to save some memory space. I said the old trick… 1 plane with a masked texture on it. Battle fields does use billboards but in conjunction with 3d meshes. Some of the LOD in the distance is billboards too. Here are two pics. 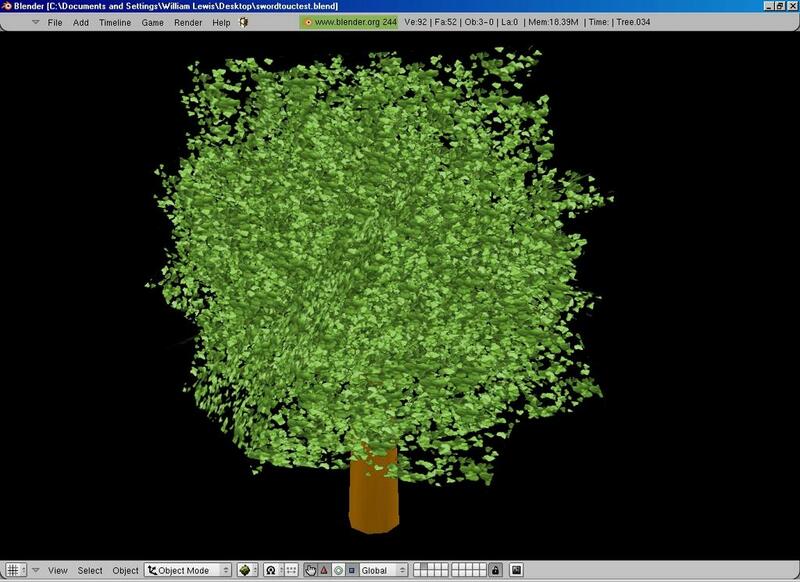 one of the tree I’m modeling and one of the test scene. Enjoy. you need a better texture, the alpha bleeds through on th one you provided. Here’s my method. Create a plane and duplicate it. Now rotate the plane into a totally different position. Repeat this over and over until you are satisfied. Then, in gimp, use the vine brush to make a pattern that you like. Apply that with alpha to the planes. Looks great man, I’ll give it a try.